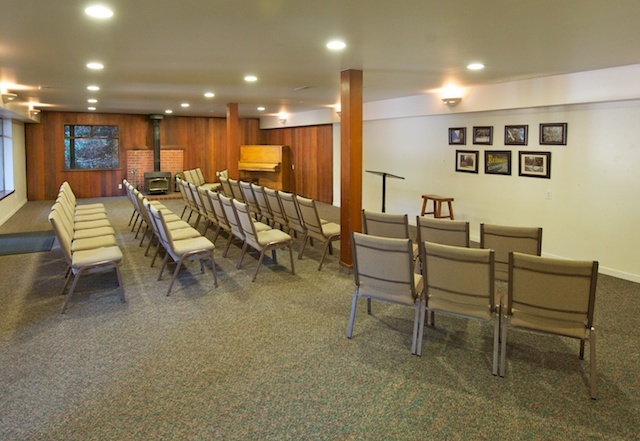 The Nelson Hall seats up to 200 guests. 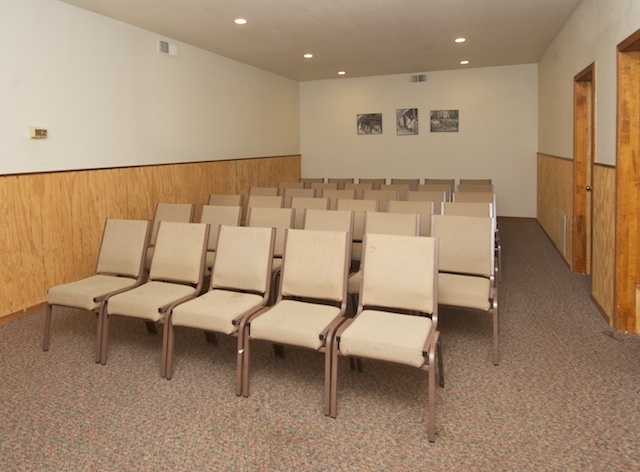 A perfect space for up to 50 guests, the Hillside meeting room offers an intimate, cozy space for a group meeting. 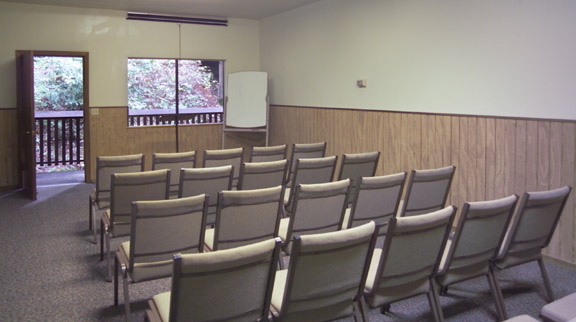 Each Ark classroom seats up to 35 adults. 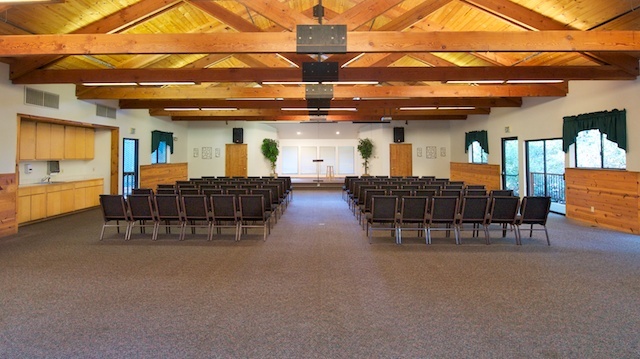 This is the Ark 7 set up with tables and chairs, but it also seats up to 100 theatre style. 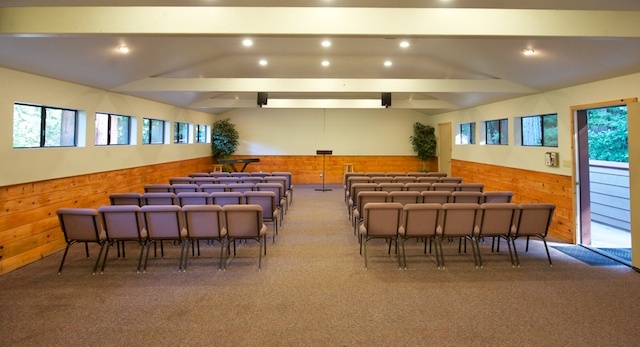 The Tabernacle holds up to 424 guests, equipped with a sound system and ceiling mounted projector. 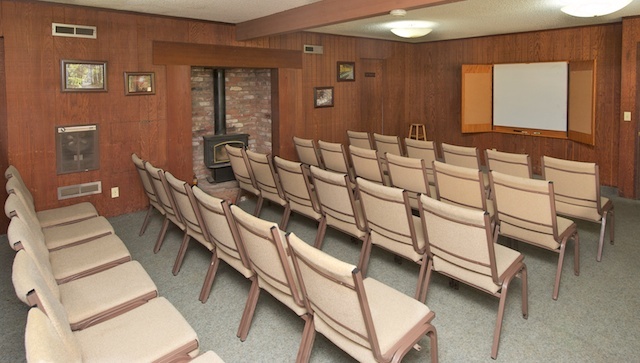 A favorite of many, the Nelson Hall has a cozy, warm feel–perfect for adult retreats. 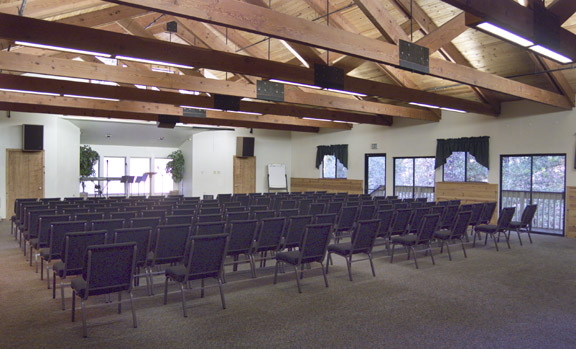 The Ark 7 holds up to 100 guests theatre style, well suited to adult events or kid’s programs. 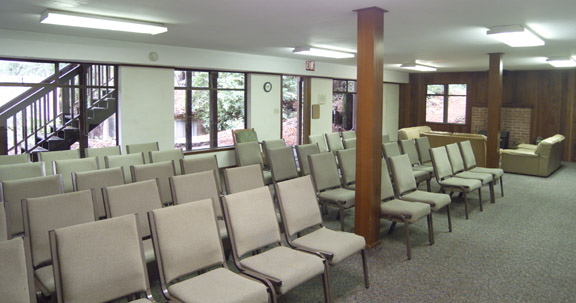 Ideal of small groups or children’s classrooms, the Ark classrooms hold up to 35 adults. With a beautiful view of the Tab Lawn, Meadowview holds up to 35 guests. 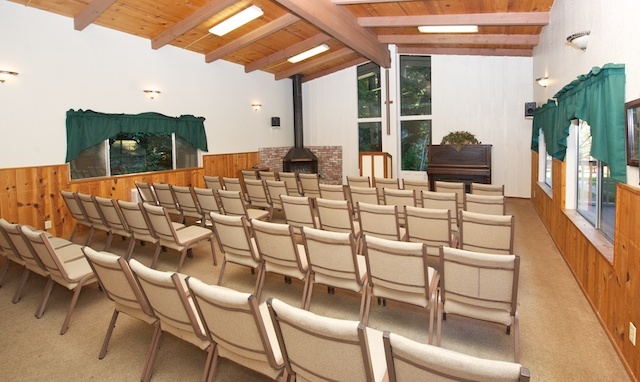 Suitable for up to 60 guests, Berea has a large deck area and is located alongside Evergreen park.